I'd love to know how to change the mun to our moon? Not interested in resizing it etc, I'd just love to be able to have it in my game. If i understand this right.You would like to change texture of the current moon? If you read OP,you can do exactly that. GameData/TextureReplacer/Default/<internalName>where `<internalName>` is the texture's internal name in KSP or path of a texture inside `GameData/` (plus .dds/.png/.jpg/.tga extension, of course). where `<internalName>` is the texture's internal name in KSP or path of a texture inside `GameData/` (plus .dds/.png/.jpg/.tga extension, of course). Note that all texture and directory names are case-sensitive! Quick preview to my upcoming texture pack, class based suits will be included too as well as something for the VIP passengers. Good Gracious, YES please yes!!!! I'm having some problems with texture replacer. The only textures I am adding are oinker's skybox. 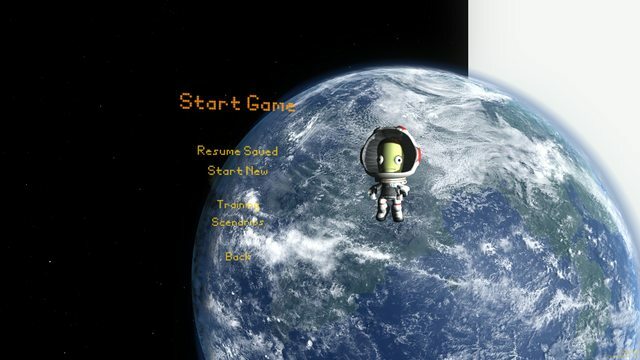 However, when I load the game, a quadrant of the sky is missing (white), even on the main menu. It goes away if I set texture compression option to never, however if I do this than I cannot use EVE mod simultaneously as the game crashes on loading, even with low res clouds and using no other graphical/part mods. It seemed to be working perfectly fine with 1.0.0, this bug seems to have just cropped up. I revert flight and it is still there, the only way to make it go away is restart KSP. When I come back from KSP if I go to tracking station it is fine but if I load a craft and I am on launch pad, that visual error shows up. I figured it was this mod because when I looked in log files a lot of things kick up from NavBallTextureExport, so when I took that mod out it works fine. So I don't know if its a mod conflict or just this mod needs updated. Its related to that mod in that thread, I take it out and its fine. Some people say in EVE take out the citylights.dll and it works fine. That started happening because the city lights textures were TGA files. The problem goes away if you convert them to PNG. Not using city lights, only clouds module. All the textures in BoulderCo and EVE folders are all PNG. I've got a feature request. Not sure if this a good time, what with the update and all, but I thought I'd throw it out there anyway. Seasons via replacement of the grass textures used on kerbin. It would be set up so that the effect is opposite on the north and south hemispheres. I know there is no axial tilt in the game, but this is just to add some extra visual variety to the player during launches and low orbits. So the idea is to use a de-saturated white/gray version of the grass textures for winter, a slightly red shifted one for fall, and a slightly blue shifted one for spring. Then divide kerbin's orbit into four areas, and rotate the textures around the planet according to the position in the orbit. No, I cannot replace terrain texture like other textures. This requires messing with PQS database and there are specialised mods for this, like Kittopia and RSS, maybe Kopernicus. Thank you, perhaps I'll ask in those mod's threads. anyone found a fix yet for the whole white eva helmet visor thing? Yes, that's exactly what has been happening to me with Oinker's skybox. Now I've downloaded the newest TR and instead of gray thing I get original skybox. One of the texture files simply doesn't want to load. Ahh I just realized oinker's skybox textures are TGA's, not PNG's. Could that be the problem? Not sure if it's a bug or something I did wrong or what, but I'm having some anomalies with TR and ATM. I don't even know if it's TR or ATM that's causing the issues. I had my suits all set up for Bob, Bill Val, and Jeb, as well as job specific suits for hired Kerbals. Everything was fine when I loaded up with ATM for the first time. Now, when I launch the game again some suit textures are reverted to something else. It's not every suit either. Bill's suit it fine, but every other main Kerbal's EVA suit gets reverted back to default including the helmet. All but one of the job suits displays this behavior as well. The one suit stays 100% correct. By deleting the cached suit textures and letting ATM do its thing, everything comes out correct until I relaunch the game. Yes, TGAs are broken from KSP 0.24 or 0.25 on and sometimes don't load and sometimes crash KSP. Don't use them. You should be able to use KSP4DDS (on Windows) or img2dds (on Linux) to easily convert them to DDS format. I downloaded this mod but how can you replace the heads and space suits of the kerbals? I opened up the mod ingame but I didn't found any new options to customize. Do I have to download a texture pack? Yes, you need to download a texture pack - or several. There's a list in the OP. I'm looking for a suit pack that features a green suit. Okay, everything seems working except the loading icon in the lower right corner is just a pink box atm. Do I have to download a new file for that? Both are included in the list on the first page of the thread, by the way. That can happen if you replace a sharedassets file. Are you using KSPRC, Better Atmospheres or one of Astronomer's packs? They include replacement sharedassets9.assets files for 0.90, but they won't work in 1.0. You'd need to restore the original sharedasset9.assets file to get it working again. If you're not using one of those packs, then I'm not sure what could cause it. Is there a texture pack which includes female kerbal heads designed for the new female models of 1.0? I replaced the sharedassets9.assets from the downloaded game client and it's worked, thanks! Not yet, I don't think. Scart91's working on one, though. Sorry if this has been covered - but I need to ask - does your mod have a way to "reduce stock textures" in a way that increases frame-rate?